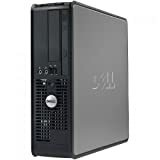 This Ultra Fast and Powerful Later Model Dell 780 Optiplex Computer is a later generation Optiplex series. The Optiplex platform is designed for business and individuals that are focused on affordable pricing coupled with top-level performance. The Dell Optiplex 780 provides the perfect blend of relevant technology that users demand, all at a price that won’t bust the budget. This model also comes with Windows 7 Restore Disk Included. NOTE: Kindly refer the Instructional Video from the Image Section and User Manual from the Technical Specification before use which is highly recommended. No matter what your choice of digital battleground, the CybertronPC Rhodium 950 X8 can see you through to Supremacy! With its powerful Eight-Core AMD FX-8300 3.30GHz processor, 16GB of quick-as-lightning DDR3 memory and solid-performing 2GB NVIDIA GeForce GTX 1050, the Rhodium has what it takes to deliver the performance you demand. It doesn’t stop there; the Rhodium 950 X8 also has a DVDRW drive for software installation, data backups and watching and listening to your favorite movies and music. And with the 1TB Hard Drive, you can store tons of games, along with all the other bits of your digital life, from music and movies and more. Dominate your battlefields – order your CybertronPC Rhodium 950 X8 today! 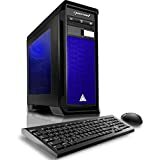 All CybertronPC system purchases include free lifetime Technical Support and a Lifetime Warranty (1 Year on Parts + Lifetime on Labor).